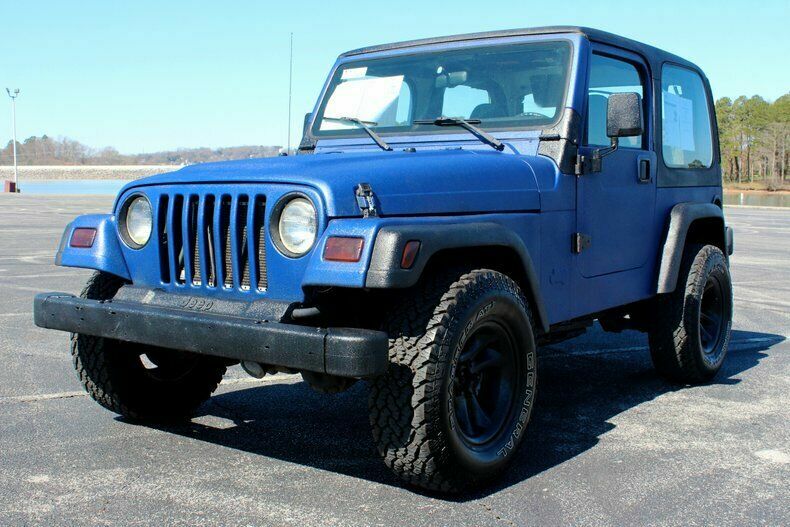 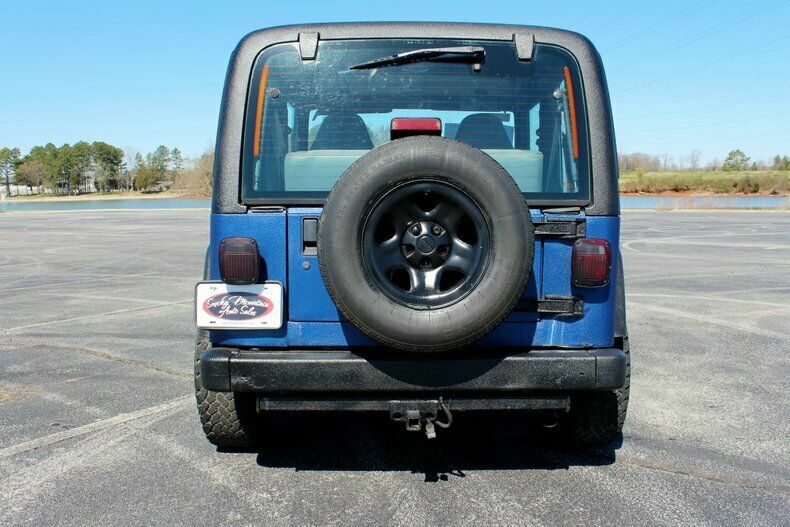 1997 Jeep Wrangler 2.5L 4 Cylinder 4X4 5 Speed Trans Iron Head Armored Hard Top Here we have a 1997 Jeep Wrangler! 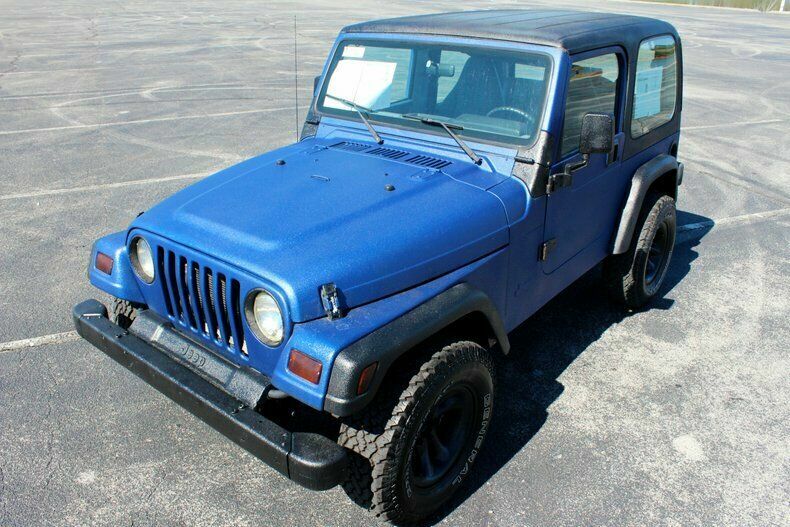 This Jeep has a Unique Look and it is Covered Blue and Black Iron Head Body Armor! 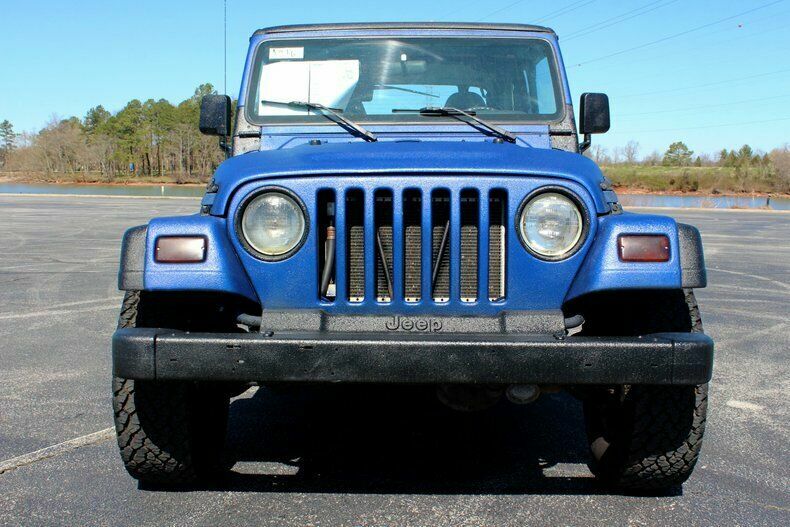 The Coating is Very Rugged and Durable and Gives a Good Look! 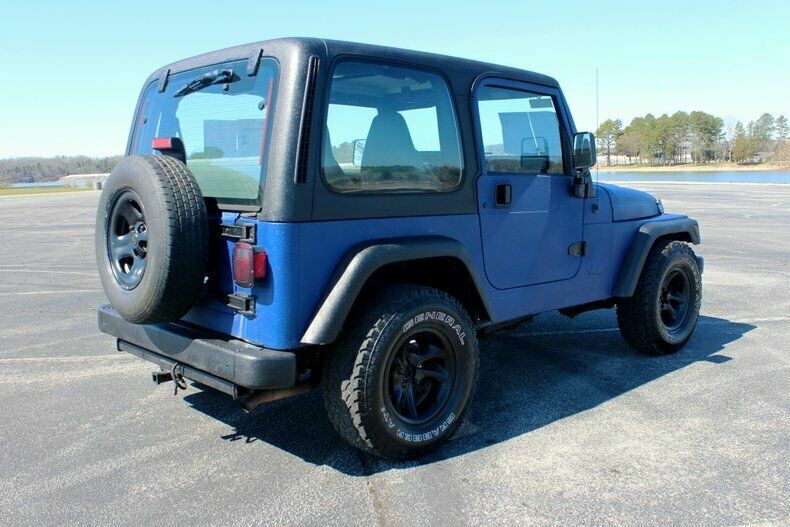 It has a Nice Set of Black Wheels and Good Tires as Well! 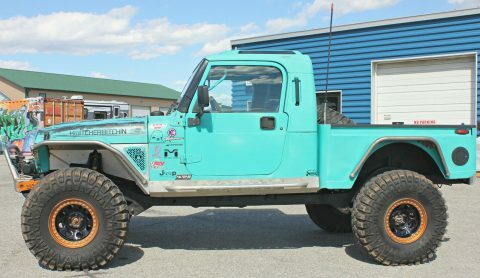 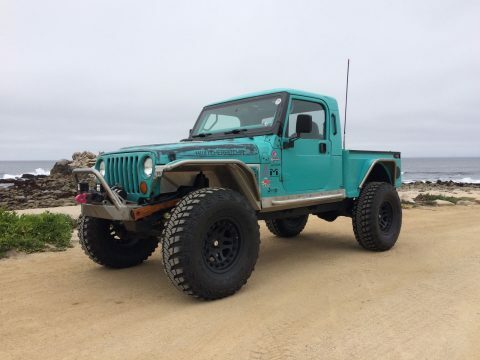 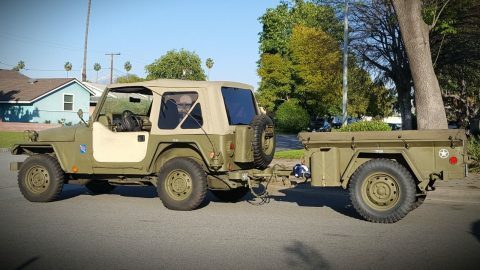 The Body is in Pretty Good Shape for the Age of this Jeep as well. 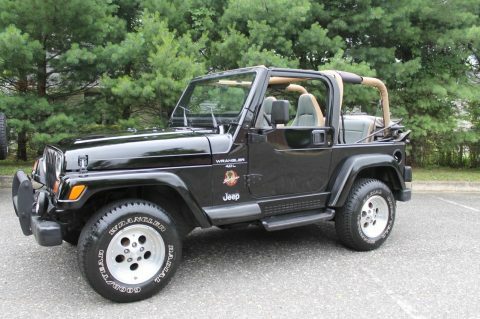 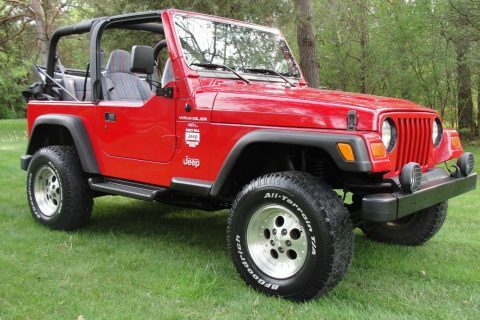 It is a Manual with 4X4 and this is a Great Cruising Jeep! 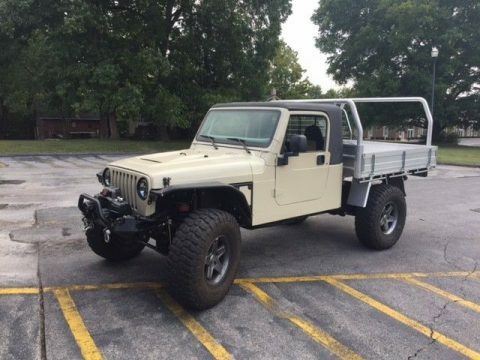 On the Inside the Seats are done in a Grey and Multi Color Cloth! 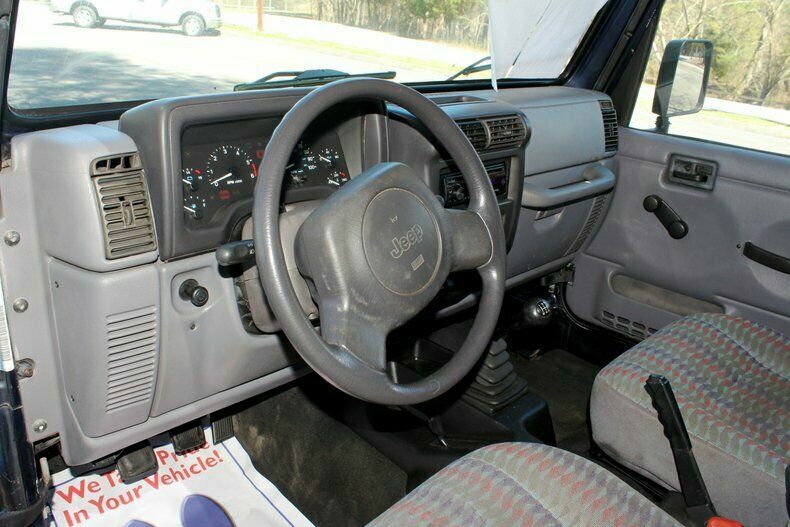 The Seats are Manually Adjustable along with the Windows and Mirrors! 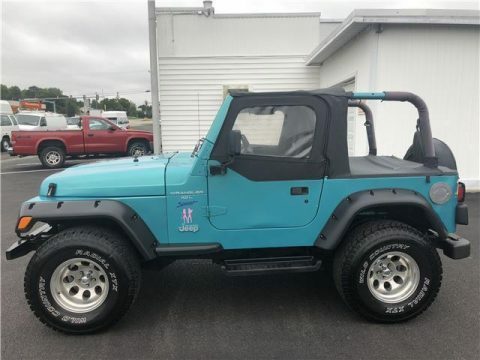 The Carpet is Black and is Clean and in Good Shape and this Jeep is Fitted with an Aftermarket Kenwood Radio and it has an AUX Input as well as a CD Player. 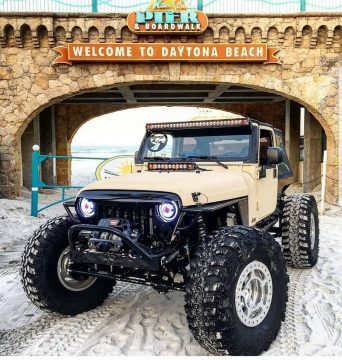 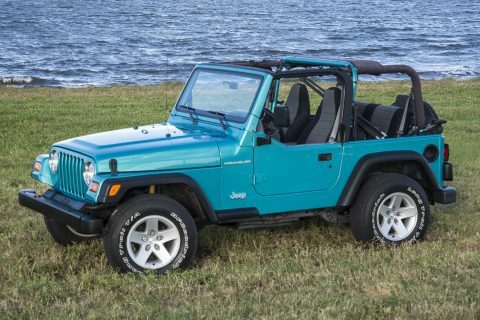 This is a Hard Top Jeep and it is Definitely Quieter than the Soft Top Models on the Inside when you are going down the Road! 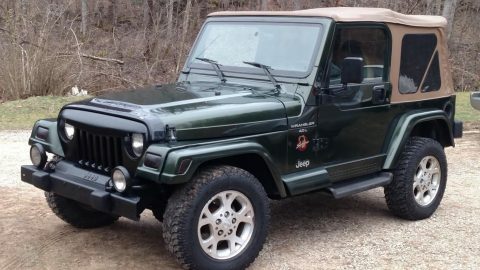 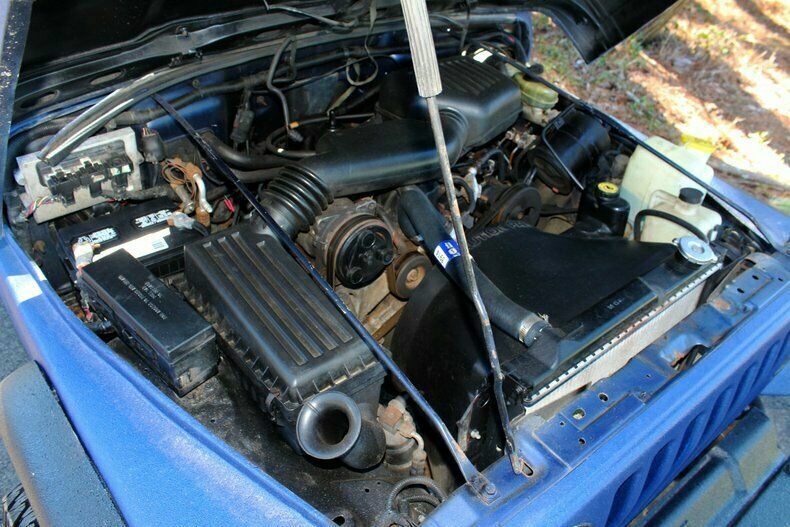 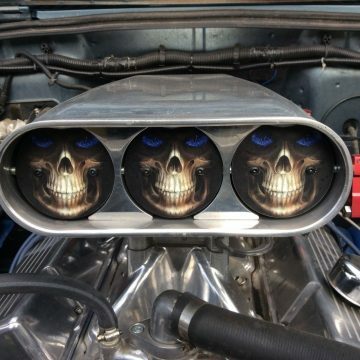 The Engine in this Jeep is the 2.5L 4 Cylinder and it Performs Well! 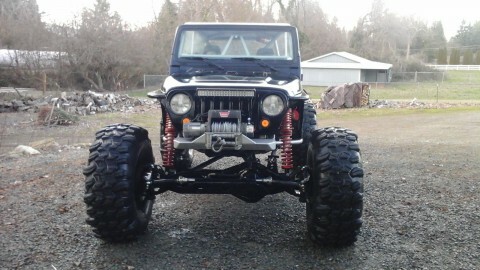 The Transmission Shifts well also and it is Engaging to Drive! 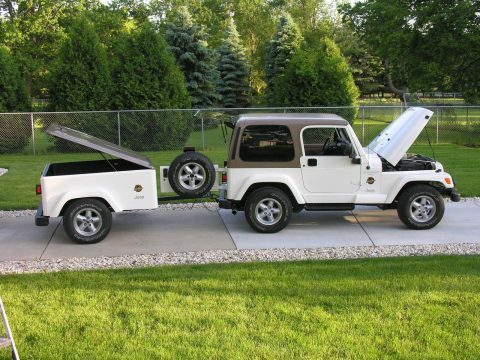 This Jeep Handles Great! 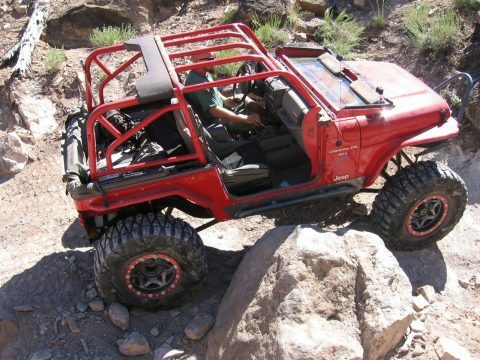 The Steering is Responsive along with the Brakes and this is just a Comfortably Driving Jeep!